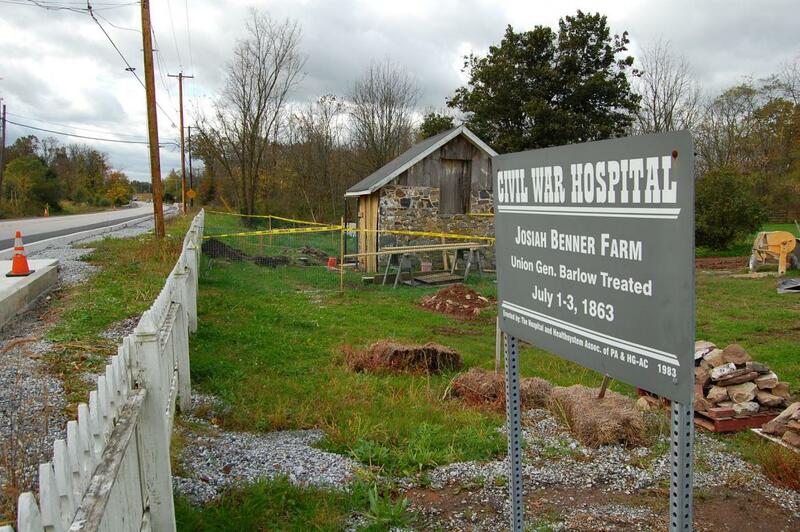 The Josiah Benner House with the Old Harrisburg Road in the foreground. 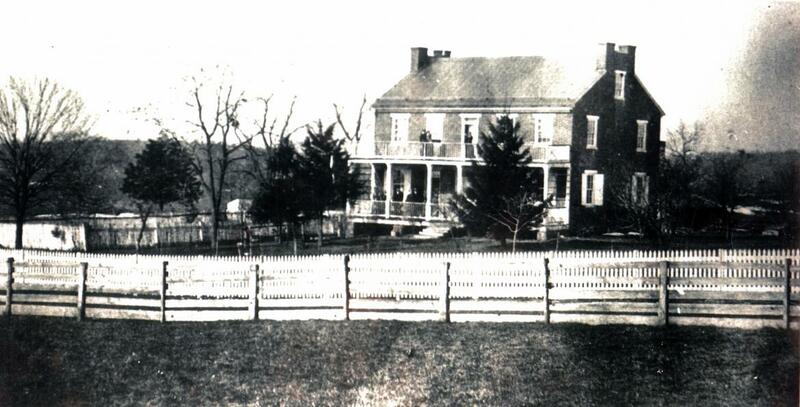 This view was taken facing west circa the late 1800s. Before its recent acquisition by the National Park Service (with help from the Civil War Preservation Trust), the 9-acre Josiah Benner Farm was owned by Tony Giuffreda and his family. 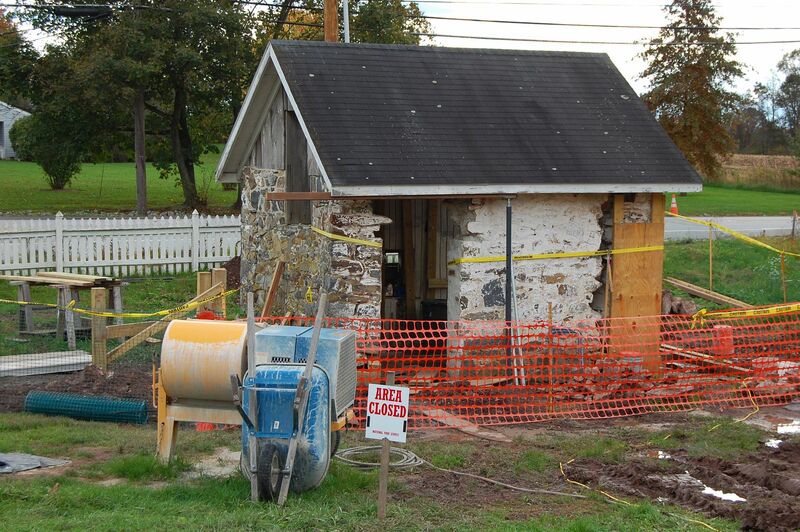 In today’s post, Tony will talk to us about some of the preservation work he performed on the property and we will take a look at the work-in-progress springhouse. 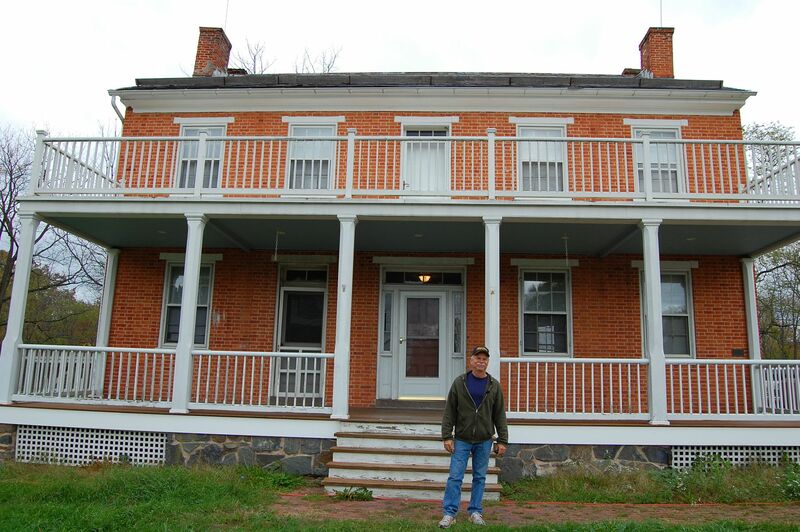 Here is Tony standing in front of his old house before starting our tour. This view was taken facing northwest at approximately 11:15 AM on Monday, October 21, 2011. 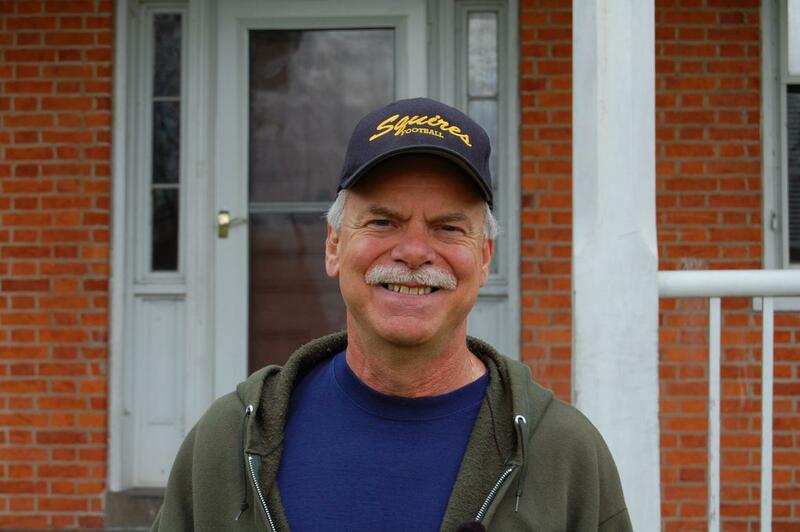 Tony and his wife Susan bought the property in 1993 and raised six children in the Benner House. This view was taken facing northwest at approximately 11:15 AM on Monday, October 21, 2011. 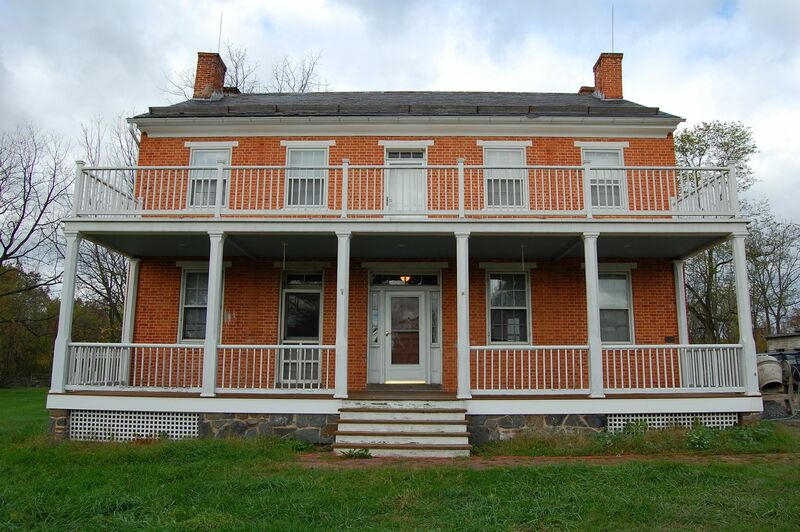 Tony discusses acquiring the property and explains some of the restoration work involved in owning a historic property. 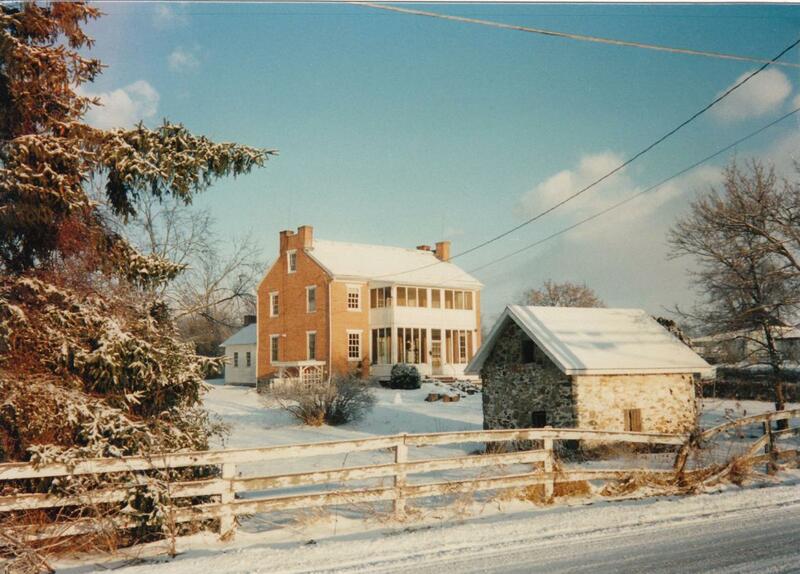 The house you see today is much closer to its 1863 appearance than the house Tony bought in 1993. This view was taken facing west at approximately 11:15 AM on Monday, October 21, 2011. 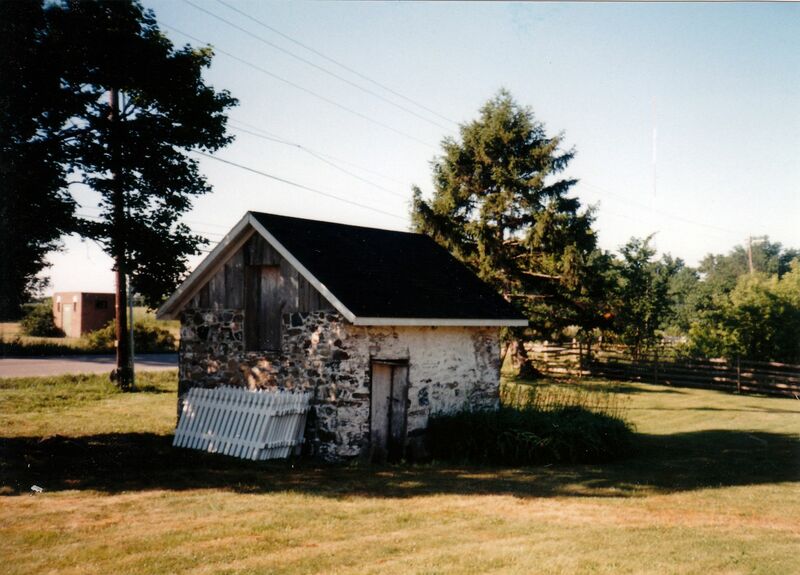 In this photo Tony provided, you will notice that there is no white picket fence and the southern wall of the springhouse is intact. This view was facing north circa the 1990s and is courtesy of Anthony Giuffreda. Here is a closer view of the front of the house before Tony restored the porch. This view was facing northwest circa the 1990s and is courtesy of Anthony Giuffreda. 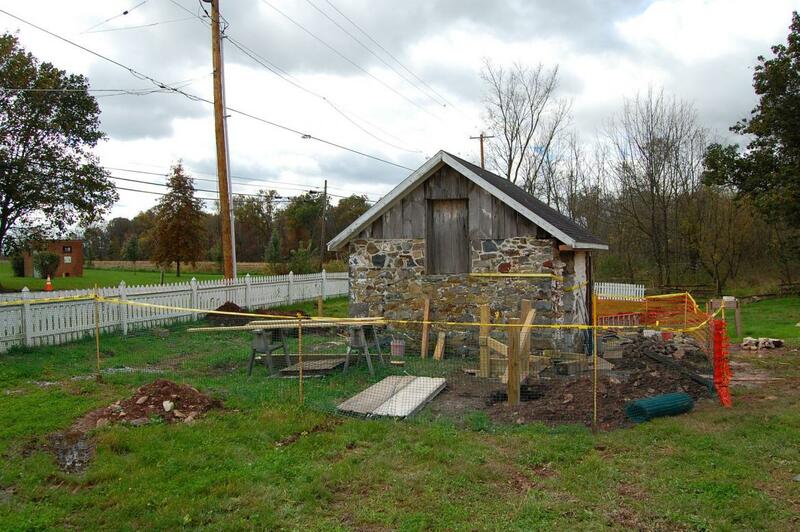 Today, much of the focus has been on the pre-Revolutionary War springhouse that sits near the Old Harrisburg Road. This view was facing southwest at approximately 11:15 AM on Monday, October 21, 2011. 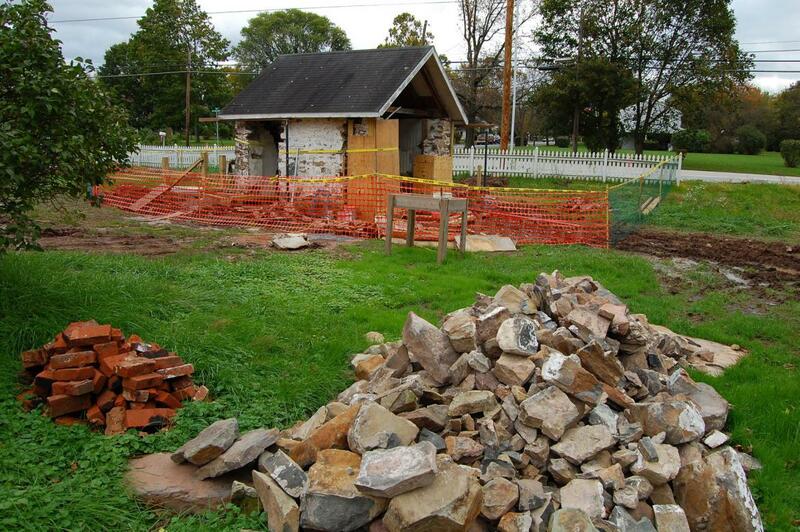 Here is a view of the springhouse, taken while Tony was in the process of restoring the white picket fence to the property. 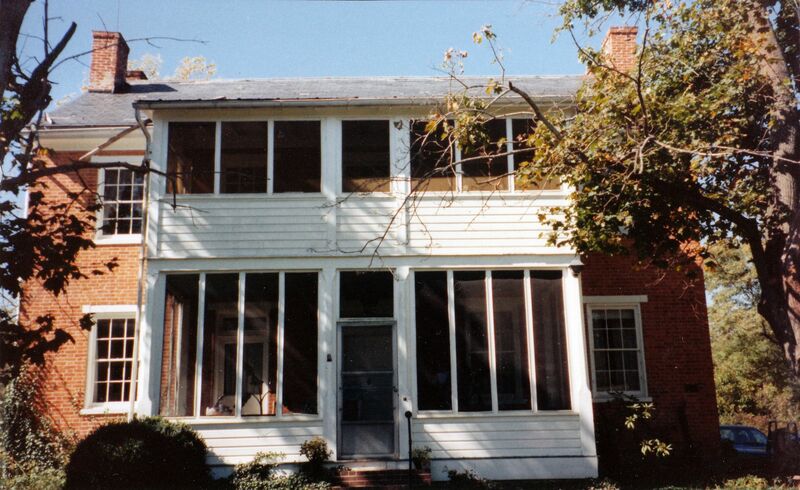 This view was facing south circa the 1990s and is courtesy of Anthony Giuffreda. 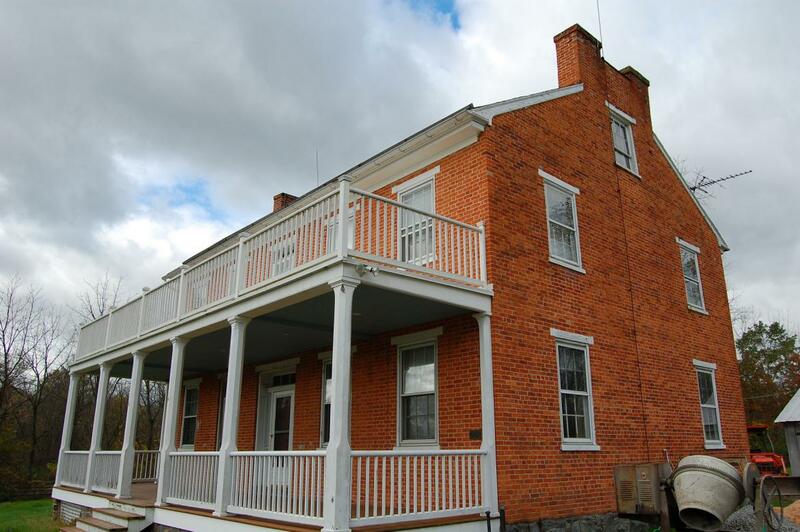 Tony explains how reading a book about the 17th Connecticut got him interested in the history of the house and working to restore it and introduces us to the history of the pre-Revolutionary War springhouse. He also explains how the restoration project on the springhouse began after initial interest by the National Park Service. 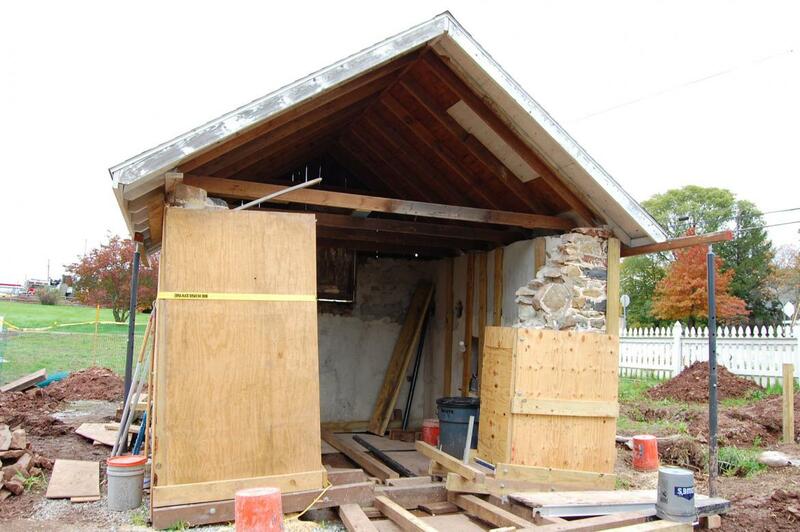 The springhouse is mostly stabilized at this time, and the most recent news is that [the National Park Service] has stabilized the interior walls and portions of the exterior walls, and removed a major portion of the south gable end wall. [They] are now in the process of moving and reshaping interior and exterior walls to their original configuration.” This view was taken facing southeast at approximately 11:15 AM on Monday, October 21, 2011. Tony talks about the “dip well” that was located next to the springhouse and relays the story that Richard Ewell may have used the dip-well to wash his leg. The dip-well would have been located in the center foreground of this photo. This view was taken facing south at approximately 11:15 AM on Monday, October 21, 2011. 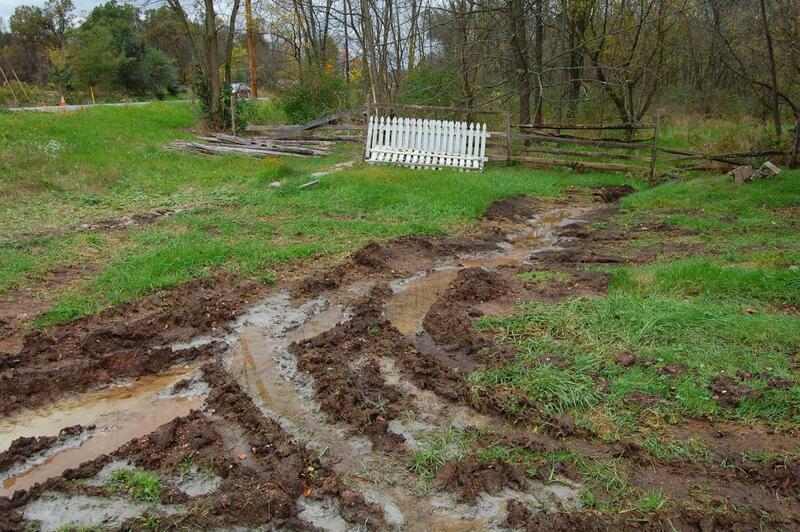 As Tony mentioned, one of the problems with the location of the springhouse is that it sits on some of the lowest ground on the property … This view was taken facing southeast at approximately 11:15 AM on Monday, October 21, 2011. … property which displayed just how prone it is to flooding while Tony was showing us around. This view was taken facing southwest at approximately 11:15 AM on Monday, October 21, 2011. Here is a closer look at the currently removed “south gable end wall.” This view was taken facing northeast at approximately 11:15 AM on Monday, October 21, 2011. Tony commends the National Park Service maintenance crew for their emergency stabilization efforts on the springhouse and the work they have performed so far. We are very grateful to Tony for sharing these stories and photos with us. We’ll be bringing you more from Tony Giuffreda and the Benner House in the near future. This view was taken facing northwest at approximately 11:15 AM on Monday, October 21, 2011.